GENESIS 47.20-26; THE TORAH AND THE TALMUD. ARE THEY DIVINE? Shalom. Our teaching this morning will be from Genesis 47.20-26. That is, when the time comes and your lands start to generate income from your harvest and flocks and herds, you must give your king Pharaoh 20% of your income and 80% belongs to you for seed and for food and for them in your houses, and food for your little ones. Joseph taxed the Egyptians 20% of their incomes. 47.25 You have saved our lives, they said to Joseph. Let us find grace in the sight of my lord. That is, we are grateful to you, and we will be servants to Pharaoh. 47.26 So Joseph made it a law over the land of Egypt to this day, or the law is valid to this day, that Pharaoh will receive 20% of all their income, except he would receive nothing from the Egyptian priests. I know I speak often about The Law in our teachings because The Law is The Word of GOD. Egypt had laws. Every country in the world has laws, and GOD Himself has Laws. So, I would like to spend some time this morning on the Divine Law, GOD’s Law which GOD requires us to observe, and the Talmud, the Rabbinic law which GOD DOES NOT require us to observe. Webster’s dictionary describes law as a binding custom or practice of a community: a rule of conduct or action prescribed or formally recognized as binding or enforced by a controlling authority. Also Webster’s, listen to this, describes law as the revelation of the will of GOD set forth in The Old Testament known as The Torah. Then they say, see Bible. I believe strongly in my heart that as a preacher and teacher of The Bible, GOD would have me teach the truth about GOD and His Messiah, and His Word which is His Divine Law. Divine Law means GOD’s Law. GOD’s Law that proceeds directly from GOD. There are countless laws in this world. Joseph made a law for Egypt in his day in addition to the many Egyptian laws. Nevada has laws. The United States has laws. The world has laws, and GOD has Laws, and GOD’s Law is called The Torah, also known as The Law of Moses which Laws come directly from GOD to us and to the world, GOD’s Creation. TORAH means GOD’s teachings, His instructions and His Law. It is GOD’s Divine Law that proceeds directly from GOD. It is every Word He speaks. The Torah contains The 10 Commandments, GOD’s teachings, His instructions, and His Laws. The Torah, that is GOD’s Divine Law, The Law of Moses explains how we are to live our lives, and the type of relationship we are to maintain with GOD and Messiah, and with the world. As a point of information, The Torah, GOD’s Law of Moses was followed by the early church but later disallowed and abolished by the church at a later date in the 3rd or 4th Centuries A.D. Torah is The Divine Law given to Israel and all the world to do and perform, and it is an everlasting Law. As far back as 3,400 years ago, GOD appointed One Law, One Torah if you will, for the children of Israel, AND THE SAME LAW FOR THE NON-JEWISH PEOPLE, THOSE WHO WORSHIP THE GOD OF ISRAEL, THE GOD OF ABRAHAM, ISAAC AND JACOB. GOD said it is an Ordinance, a Law forever. And GOD never changes. Thus to recognize The GOD of The Bible, and to acknowledge The GOD of Israel, one must serve Him and obey His Law, The Torah, The Law of Moses. HOMEBORN – EZRAKH – A native. In this Scripture, the homeborn or native is identified by birth and origin from Abraham, Isaac and Jacob, and the 12 tribes of Jacob or the 12 tribes of Israel. Thus One Law for the homeborn Israel , and the same Law for the stranger that sojourns among you. STRANGER – GAYR – a foreigner, that is not born from Abraham, Isaac and Jacob and the 12 tribes of Isael, or one who is not Jewish. SOJOURNS WITH YOU. THOSE WHO JOIN YOU BY WORSHIPPING THE GOD OF ISRAEL, THE GOD OF ABRAHAM, ISAAC AND JACOB. Why is GOD’s Law required for both Jew and Gentile? First, because GOD said so, and because the mixed multitude of non-Jewish people worshipped The GOD of Israel; The GOD of Abraham, Isaac and Jacob, and an important part of that worship is obeying The Laws of The GOD of Israel. Today, the non-Jewish people in Messiah Yeshua worship The GOD of Israel, The GOD of Abraham, Isaac and Jacob. Thus you join in with Israel. You are grafted in with the House of Israel, the Jewish People because you worship The GOD of Israel, and you trust in His Messiah Yeshua Who Himself is The GOD of Israel. Thus GOD says, One Law for the House of Israel and the non-Jewish people who have received The Messiah Yeshua, The Mighty GOD of Jacob, and worship Him. And Yeshua is The GOD of Israel. So how is one grafted into the House of Israel? How does the non-Jewish person join in with Israel? Believing in Messiah is a good start. It’s interesting to note that the Hebrew word for homeborn is ezrakh, and is described not only as a native, but as a tree, or persons. Paul picked up on the tree definition. The tree is symbolic of the House of Israel, the Jewish People. The root of the tree is GOD The Messiah. The branches are the Jewish People. Non-Jewish people, or the wild olive tree are grafted in among them and with them, that is with Israel, with the Jewish People, and participate in all the blessings and hope and covenants of promise, and participate in GOD, and with GOD. You are now fully part of GOD’s Chosen People. So how are you grafted into the House of Israel? It’s simple. You already believe in the Jewish Messiah Yeshua. And GOD is your Father, The GOD of Israel, The GOD of Abraham, Isaac and Jacob. The LORD or Hosts is His Name. And you worship Him. Thus GOD requires you, as He does the House of Israel, to keep His Laws and Commandments, His teachings and instructions. Then you are grafted into Israel and become fully part of GOD’s Chosen People, participating in all His Covenants of Promise, all His Blessings, having the fulness of GOD, His Holy Spirit living in you, and living your life as GOD your Father has ordained for you, to walk in His ways. Let’s continue with what is called the Talmud, or the oral law, or the Jewish law, or Rabbinic law. In the days of The Old Testament, Judaism was known as Biblical Judaism. But now Judaism is known as Rabbinic Judaism because the laws of Judaism are Rabbinic along with The Torah. ud are the commandments of men, and not of GOD. All religions have man made laws and commandments. And often the commandments of men cause people to reject The Commandments of GOD. Here is a commandment of man that causes people to reject the Commandment of GOD. The Law of Moses is dead. It is fulfilled in Jesus Christ. It is no longer in force. That false doctrine causes people to reject The Commandments of GOD. Yeshua found Himself in confrontation with the Pharisees because they wanted Him to observe Talmud, the laws of the Rabbis. And Yeshua rejected those traditions that were not in The Bible. The Talmud, which is the oral law or the Jewish law, has numerous laws outside The Bible, laws not written in The Bible and is impossible to follow with its multitude of laws. The Torah, GOD’s Law of Moses is often in disagreement with many Rabbinic laws. Webster’s dictionary describes religion, all religions as having a specific fundamental set of beliefs and practices GENERALLY AGREED UPON BY A NUMBER OF PERSONS. However, as a Believer in Messiah, our fundamental set of beliefs and practices are based exclusively on what is written in The Bible, The Old Testament and The New Testament and nothing else. The Talmud or the oral law was written by many Rabbis over a period of hundreds of years in which are collected the teachings of the major Jewish scholars who flourished between 200 and 500 CE or AD. There was no Talmud during the days of T’nakh, The Old Testament. The Rabbis say, in the absence of the oral law, or without the Talmud, it would be impossible to carry out most of the Biblical Commandments. That is we cannot possibly understand GOD’s Divine Law, The Law of Moses without accepting the oral law with its thousands of man made laws. That is simply not true. For example, Rabbinic law defines what forbidden work on the Sabbath Day is. And they have created numerous laws of what is forbidden work on the Sabbath days. GOD explains The Sabbath to us. (Exodus 20.11) HALLOWED – KAHDAHSH – holy and set apart. Because there are so many man made laws in Talmud, it is impossible to follow all of them. While we are on the subject of law, there is no single Greek word in The New Testament for Talmud, the Rabbinic law. The New Testament uses the word law or the Greek word nomos for both Torah, The Law of Moses, and Talmud, the laws of the Rabbis. It’s important to know which one is being spoken of in Scripture. and it is impossible to follow all its laws. ACTS 15.24 SUBVERTING – upsetting you. Must keep the law (THE TALMUD). We give no such commandment. But GOD’s Divine Law, His Law of Moses is NOT impossible to follow. John says it is not difficult. Let’s look at some Scriptures on Torah, GOD’s Divine Law, His Law of Moses, because GOD gave The Law to Moses to give to the House of Israel to give to the world through The Bible. ACTS 5.31-32, ROMANS 8.6-7 CARNAL – without The Holy Spirit. SPIRITUAL MINDED – follow GOD and Torah. 1 CORINTHIANS 14.34, 1 CORINTHIANS 15.56 (The Law teaches what sin is). 2 PETER 3.14-18 WREST – pervert, torture, twist, poison, turn away. So let’s close with Peter’s words in 1 Peter which I think sums up this teaching. VERSE 13 – gird up the loins of your mind – Prepare to lead a GODLY life. VERSE 21 – you believe in GOD The Father, The GOD of Israel. Thus He requires you to obey Him, His Torah. In answer to our question, are The Torah and Talmud Divine? The Torah, The Law of Moses is Divine. It proceeds directly out of the Mouth of The LORD our GOD. The Talmud is not divine. To be specific, The Laws that are in the Talmud from Torah are Divine. However, the laws of the Rabbis do not proceed out of The Mouth of GOD and are not in The Bible. Thus those laws are not divine. Shalom. Our teaching this morning will be from Genesis 47.11-16. His brethren – all his family, the whole house of Israel, 70 in number. A POSSESSION – Pharaoh gave them the land. It was theirs because of the respect Pharaoh had for Joseph. The land of Rameses was within the region of Goshen where Israel settled. And the name Rameses was connected to that land because Rameses 2nd built extensively there. Rameses was the most common royal name of Egyptian dynasties, or the Pharaohs. 47.12 NOURISHED – KOOL – sustain, provided food. Certainly it had to be a blessing for Joseph to care for his family during the severe famine and make sure they were well taken care of after so many years of separation. 47.13 BREAD – LEHKHEM – food, grain, bread. Thus, there was no food in all Egypt because the famine was so severe. The Hebrew word for famine is RAHAV which also means hunger. FAINTED – grew weak from hunger. This famine was so heavy in Egypt and Canaan where the children of Israel lived, and Egypt being the only country having food because of Joseph’s plan, the children of Israel had no other choice but to accept Joseph’s invitation to move to Egypt. Thus fulfilling GOD’s prophecy to Abraham that his descendants would be strangers in a land not theirs, Genesis 15. And also where he would make them a great nation. That was fulfilled when the children of Israel moved to Egypt. I’m also led to believe that there will be times in our own lives when life is difficult, very difficult because GOD has a plan for us, and it may take some extreme difficulty to fulfill His Plan and Purpose as in the example of Joseph. Joseph went through some extraordinary hardships to fulfill GOD’s Plan for him, and for GOD. We may also go through some tough times to accomplish a purpose GOD has for us. And GOD’s Plan will be great for you and for GOD. Joseph sold food in Egypt and Canaan and brought the money to Pharaoh’s palace, perhaps his treasury. So the question is, where did Joseph get all that grain and food to sell because there was no food in Egypt? We are told in GENESIS 41.28-27. VERSE 33 – DISCREET – understainding, inteligence and skillful. VERSE 34 – Joseph told Pharaoh he should purchase food from 20% of all the farms in Egypt, and/or gather food from his own crops during the 7 years of PLENTY. VERSE 35 – and put all that food in storehouses in various cities under the authority of Pharaoh. VERSE 36 – and keep the food in reserve for the coming 7 year famine, so the land will not perish, and Pharaoh will keep Egypt alive, he will save his country. And Pharaoh agreed. So obviously Pharaoh decided to sell the food to the Egyptians and everybody else during the famine. Joseph saved Egypt. This severe famine was from GOD for His purpose, as all things are from GOD for His purpose. FOR HIM – from Him or from GOD, and for GOD. AND TO HIM – and to GOD ARE ALL THINGS. EVERYTHING is from GOD and for GOD and because of GOD. Even the famine, even our own lives and everything that happens in our lives is for GOD, and from GOD and because of GOD. AND TO HIM, meaning our praise and our worship are to Him. We honor Him and glorify Him, and exalt Him, now and forever. And to Him is majesty, dominion and power, and for His pleasure are we created. Everything in this Creation is from GOD and for GOD and because of GOD. The famine was from GOD AND IT WAS FOR GOD, and it was because of GOD. Our lives and everything that happens in our lives is for GOD and from GOD and because of GOD. The word world comes from the Greek word kosmos meaning, orderly arrangement. Think on that. GENESIS 47.15 the money ran out. Pharaoh had it all because the entire population spent everything they had for food which Pharaoh sold to them. So again the people came to Joseph for food. 47.16-17 So Joseph bought their cattle and all their herds and flocks and donkeys in exchange for food for 1 year. Now Pharaoh owned all the farm animals in Egypt, and all the money. 47.18-19 The following year, the people told Joseph, we have spent all our money, you have all our animals, and we have nothing left but our bodies and our lands. Buy us and our lands in exchange for food, and we will be servants and slaves to Pharaoh. 47.20-21 Now, Pharaoh owned the entire land of Egypt and everything in it, and he moved the population town by town, from one end of Egypt to the other. Except the children of Israel. They grew and prospered. SEE VERSE 27. (Genesis 47.27) DWELT – YAHSHAV – to dwell in quiet. They were settled and became established within the Egyptian population. THEY HAD POSSESSIONS – holdings, land, property, assets. MULTIPLIED – RAHVAH – increased in abundance, and they excelled, and they prospered greatly. GOD was making the children of Israel a great nation as He promised Abraham and Jacob, even during a severe famine while the Egyptians struggled. QUESTION – What does GOD mean when He says He will make Israel a great nation? A great nation in Hebrew is LEH GOY GAHDOLE. The word great in Hebrew, GAHDOLE, has a number of meanings, i.e., large or huge in size, great in any sense, mighty, noble, etc. Well Israel is not large or huge in size. It’s about the size of New Jersey. You could put 14 Israels into Nevada. 441 Israels into the United States. Rhode Island is the smallest state in the country and Israel is only 7 1/2 times the size of Rhode Island. No, The LORD did not make Israel a great nation to be one of the largest countries in the world. It is one of the smallest countries in the world. Although at some time in the future, Israel will the only City in GOD’s Creation, New Jerusalem, The Holy City which will come down from GOD out of Heaven, prepared as a bride adorned for her Husband, the Great City, the City of GOD which has no need for the sun or the moon to shine in it, for the glory of GOD will lighten it. But before that happens, GOD has made Israel a great nation for many reasons. Here are just a few. GOD made Israel a great nation to be a blessing to all the families of the earth, all the people of the world. But unfortunately so few see that. Israel is a great nation because it has GOD as their GOD. and all His blessings by joining in with the great nation of Israel. Not by converting to Judaism, but BY JOINING IN with that great nation. How? By doing and performing all the Teachings, Instructions and Laws God has given to His people Israel, which includes faith in Messiah Yeshua. Paul explains in the form of a parable. 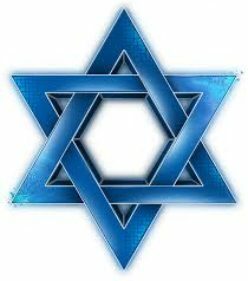 Most people know that the Jewish people are GOD’s Chosen People, and many are not too happy about that, even some Jewish people. But GOD chose Israel for many great reasons to bless the nations, to bless the Gentiles. VERSE 9 Applies to all peoples. GOD chose the great nation of Israel to be His witnesses, to tell the entire world about GOD. We wrote The Bible from Genesis through Revelation which explains the truth, the whole truth of GOD. WITNESSES – ADE – one who declares the truth about GOD from His Word, from The Bible. Paul tells us in a number of places why Israel is a great nation, and we are also told how everyone can benefit from the great nation of Israel, and be blessed. And that teaching is from GOD, because we, Jewish and Gentile people are created for GOD’s pleasure. VERSE 4 GOD adopted Israel to be His children. All this belongs to you and all peoples of the earth who do what GOD says and commands. The LORD GOD gave these words to the Jewish people for all the world to be blessed. And so few receive it. Unfortunate. And for those who hear GOD”s Word, and do it, we can look forward to living in The Holy City, New Jerusalem that will come down from GOD out of Heaven prepared as a bride adorned for her Husband. GOD made Israel a great nation for you and me and for all the families of the earth. So in conclusion, there will be times when life becomes difficult, just as they were for Joseph. Because GOD may have a plan for you, or for all your family. And it may take some times of difficulty and hardship for GOD to fulfill His Plan and Purpose in you. So hang in and endure. GOD will see you through, and He will bless you, because His Plan will be great for you. Also, GOD made Israel a great nation to bless all the families of the earth. To those who receive and bless Israel, the Jewish people. To those who join in with Israel and become grafted in with Israel by doing and performing all the Teachings, Instructions and Laws God gave to His People Israel, the Jewish people. And having faith in the Jewish Messiah Yeshua. The Lord says, I will bless those who bless you. It is that simple. God made Israel a great Nation for you and for me and for all the world. Shalom. Our teaching this morning is from Genesis 47.1-7. GOD’s prophecy to Abraham that is recorded in Genesis 15.13-21 is fully and partially fulfilled in this passage of Scripture that took place some 4,000 years ago. Fully fulfilled, that is the whole house of Israel, 70 people in total have moved into Egypt from Canaan where they will be strangers in a land that is not theirs. Today the Jewish population worldwide is 13,090,000. As a comparison, the world population is 7 billion. Thus the Jewish people represent just .19% or less than 1/4 of 1% of the world’s population. Partially fulfilled because 30 years after their arrival in Egypt, they will become slaves to the Egyptians for 400 years as GOD prophesied. Partially fulfilled because at the end of the 400 years of slavery, GOD will judge the Egyptians, that is, He will punish them in the form of plagues and the death of the firstborn of every Egyptian family including Pharaoh’s firstborn. And when The LORD GOD Almighty led the children of Israel out of Egypt by the hand of Moses ending their 400 years of slavery, GOD’s judgment continued upon the Egyptians. When the Egyptian army chased after the Jews in the wilderness, some 3 million and a mixed multitude with them, to kill them or bring them back into slavery, and with the Red Sea in front of them, and the Egyptian army behind them, The LORD GOD of Israel split open The Red Sea for the children of Israel to cross on dry ground, and then He annihilated the entire Egyptian army as they pursued after Israel inside the Red Sea by dropping the ocean on them, drowning them all. Here is some information on the Red Sea you might consider. The Red Sea runs from Cairo, Egypt down to the Arabian Sea. The Red Sea flows between Egypt, Sudan and Ethiopia on the west side and Saudi Arabia on the east. It is 1,350 miles long, about 100 miles wide, and 7,200 feet deep, or about a mile and a half deep. GOD opened the ocean and the children of Israel crossed on dry ground, and saved them. But the waters came down upon the Egyptians killing them all. For GOD had told Pharaoh through Moses, “For truly for this cause have I raised you up, for to show in you My power, and that My Name may be declared throughout all the earth. As yet, you exalt yourself against My people that you will not let them go”. Exodus 9.16-17. GOD’s promise was completely fulfilled some 670 years after He spoke His prophecy to Abraham, when He brought the children of Israel back to Canaan 40 years after the Exodus from Egypt, where they conquered all the Canaanite countries GOD had promised Abraham, and gave them the land from the river of Egypt to the great river, the river Euphrates, and all the Canaanite nations. GOD renamed that land Eretz Y’Israel, The Land of Israel, the name GOD gave to Jacob. And the same land so many today want to take from the Jewish people that GOD gave them for an everlasting possession. I recall what GOD said to Pharaoh. “As yet you exalt yourself against My people, that you will not let them go”. And GOD never changes. HABITATION – NAHVAH – a home to celebrate The LORD with praises, to glorify and beautify Him and show His beauty. Speaking of His Temple. CONGEALED – KAHFAH – became firm ground. Israel became a great nation in Egypt, the great nation GOD promised to Abraham, Isaac and Jacob, and the great nation that comes from Abraham, Isaac and Jacob. Israel has been the land of the Jewish people since Joshua conquered it some 3,300 years ago. And Israel is the only country in the world that the Jewish people can call their own homeland. And GOD giving us our own country, and to be a Holy people unto The LORD GOD, chosen to be a special people unto Himself, His servant and His witnesses is an act of undeserved grace, undeserved kindness on behalf of The LORD GOD. Call it unmerited favor if you will. We didn’t earn it. It was not our rightful due, and certainly it was not because of our righteousness. It is a gift of GOD. And His gifts and calling are irrevocable, final, permanent, and unchangeable. And likewise, GOD uses the same formula for our Salvation in Yeshua The Messiah. We are saved by grace, GOD’s lovingkindness, through our faith and trust in Messiah. And our faith and trust in Messiah are not of ourselves. Just as GOD chose Israel and the Jewish people, we did not do anything to earn Salvation. It is a gift of GOD. And just as GOD commands the Jewish people to obey Him, likewise He requires all of us, especially those of us who call ourselves Believers in Messiah Yeshua, GOD requires us to lead a law-abiding life, and not a lawless life. The LORD your GOD, The Messiah of the universe requires us to keep GOD’s laws and commandments, and to obey every word He speaks, for your good. Those are the good works GOD has before ordained for us that we should walk in them. That is what GOD requires. As Paul teaches in Romans 10.12, “THERE IS NO DIFFERENCE BETWEEN THE JEW AND THE GENTILE, for the same LORD over all is rich unto all that call upon Him”. And Paul supports Torah observance, that is obedience to GOD’s Law of Moses, in his letter to the Ephesians. VERSE 12 Aliens, or not associated, aliens from the commonwealth of Israel – you were not participating with Israel, you were not related to or connected to GOD’s chosen people. You were strangers from the Covenants of Promise, especially Salvation, having no hope, and without GOD in the world. VERSE 13 But now in Messiah Yeshua, you in the past who were a great way off, are near by the blood of Messiah, and ready to follow GOD. NIGH – near and ready. Near GOD and Messiah and ready to follow Messiah, and obey GOD. VERSE 19 No more strangers and foreigners, but fellowcitizens with the saints – that is, you are now joined with Israel because of your faith and trust in the Jewish Messiah Yeshua, fully part of GOD’s chosen people, especially joined with believing Jewish people, and fully part of GOD’s elect. VERSE 20 Now you are to lead your lives just as the Apostles and Prophets and Messiah Himself led theirs. In obedience to GOD, keeping His Laws and Commandments, every word that proceeds out of the mouth of The LORD GOD. That is what GOD requires of Jew and Gentile. There is no difference for all that call upon Him. We must lead a law-abiding life. GENESIS 47.2-6 VERSE 4 SOJOURN – GOOR – to live in the land as a guest. MAHGOOR comes from the Hebrew word GOOR which means, to live in the land as a guest. Jacob said to Pharaoh, the years of my pilgrimage are 130 years, meaning this earth is a temporary place to live. I am a stranger and a guest living on this earth. PILGRIMAGE – Webster’s – the course of life on earth. ion, bad days and grief, and sorrows and troubles. And he had not attained to the age of his fathers. Abraham died at 177. Isaac at 180. Jacob died 17 years later at 147. I believe Jacob was telling Pharaoh, there’s a better place waiting for him after he dies on earth. That place is Heaven, his permanent home where he will live forever with The LORD GOD and others like him, where there is no evil, no sin or curse, no tears, no death, no sorrow, no crying, and no pain, which GOD has prepared for him. A place of perfection as GOD and Messiah are perfect. A place of perfect joy and perfect happiness, and perfect worship and perfect life without end. But how did Jacob know 4,000 years ago that Heaven awaits him? After all, there was no T’Nakh (Old Testament or New Testament) to teach him. I believe the answer to that question lies in the words GOD spoke to Abraham, that he passed on to his son Isaac and his grandson Jacob and others. And also the words GOD Himself spoke to Jacob. For example, I believe GOD told Abraham the story of the serpent satan, and Adam and Eve, telling him not to be disobedient as Adam and Eve, but obedient to The LORD GOD. Just a reminder. And the words GOD spoke to Abraham of eternity which have a deep meaning. VERSE 7 GOD’s Covenant is His Promise, His Word and His Law, and it is everlalsting. EVERLASTING – OLAHM – eternity, being eternal, i.e. infinite or endless, never-ending, everlasting, without end and forever. And Abraham believed GOD and the deep meaning of eternity and everlasting. And he believed in Heaven where GOD lived and where Abraham will live. And I believe Abraham passed his thoughts on to Isaac and Jacob. GENESIS 1.1 HEAVENS – SHAMAHYEEM – Heaven or Heavens. Heaven, where GOD lives, and where His angels live, and where people like Abraham will live. GENESIS 14.19, 22 POSSESSOR – KAHNAH – created it, and He owns it. So certainly Abraham was aware of death on earth, but this word olawm that GOD spoke, the deep meaning of everlasting, eternity, without end could only speak of GOD and Heaven where He lives. So I firmly believe Abraham knew that he would spend eternity in Heaven with GOD. And he passed GOD’s Words on to his children and grandchildren, Isaac and Jacob and others. And Jacob also knew about Heaven from The Mouth of GOD. VERSE 12 Jacob knew from GOD and his grandfather Abraham, and perhaps his father Isaac that GOD gave The Land to His People forever. And forever can only relate to GOD and Heaven where GOD lives. And Jacob believed that’s where he would live permanently and forever, in Heaven with GOD and others like him. VERSE 13 And GOD went up. And I believe the writer of Hebrews agrees that Abraham, Isaac and Jacob knew their final destination was Heaven after being pilgrims on earth. He wrote about it. VERSE 13 – SEEN THEM – I-DO – to know and are sure. WERE PERSUADED OF THEM – they were convinced by the evidence GOD gave them. They relied on GOD and were confident in Him, just as we ourselves should be confident in GOD. VERSE 16 – So Abraham, Isaac and Jacob and others of faith did know about Heaven, and desired to go there. DESIRE – they reached out for Heaven, longing for it. NOT ASHAMED – GOD The Creator, Who is perfect, Who is Messiah, Who fills Heaven and earth, is not ashamed to be called our GOD, for He has prepared for us a City, The Heavenly City New Jerusalem, the everlasting and eternal possession for His Chosen People, Jewish and non-Jewish People of GODly faith, you and me. Jacob certainly knew about Heaven, his permanent home. GOD promises non-Jewish people blessings for blessing His Jewish People, as Jacob blessed Pharaoh. Messiah teaches and even blesses non-Jewish people with Salvation for blessing His Jewish People. But so many disregard this promise from The LORD. So in conclusion, a lot was said in this Message. But maybe the most important words are taught early in The Bible. Don’t be like Adam and Eve who listened to satan and disobeyed GOD. But listen to GOD, and obey His every Word, because His Word endures forever. He never changes, and His Word never changes. And remember, Messiah taught from T’Nakh, The Old Testament. Shalom. Our teaching this morning is from Genesis 46.26-34. Pharaoh gave the children of Israel the best land in Egypt because of his love and respect for Joseph. Rameses was a city within Goshen, and it was connected to the name of Rameses because Rameses 2nd built extensively in the region. It was a very fertile section of Egypt, and excellent for their flocks and herds to graze, and for farming. GENESIS 46.29 The long lost son is alive, and not only well, but the Governor of Egypt. And Joseph tenderly, and in love, and in tears of joy greets his father Jacob, and how happy Jacob must have been after so many years of pain and separation from his son Joseph. But GOD also fulfilled part of His prophecy to Abraham (Genesis 15.13) using his great-grandson Joseph to bring the children of Israel into Egypt, a land not theirs, to make of them a great nation, and so much more. The children of Israel lived in Egypt for 430 years where they did become a great nation. They lived there for 30 years with Joseph, and his family in freedom and peace, and then 400 years of slavery and oppression just as The LORD GOD had prophesied. VERSE 40 THE SOJOURNING – the time they lived in Egypt. GENESIS 15.13 30 years of freedom in the days of Joseph and 400 years of affliction and slavery after Joseph. All the people of The LORD, all the children of Israel. VERSE 42, it is a night to be much observed and kept. The LORD GOD made that night the evening of Passover, and it is to be observed by all the children of Israel forever. The Bible does not tell us why every shepherd is an abomination or disgusting to the Egyptians. In The T’nakh, The Old Testament, and also in The New Testament, the primary occupation of the Jewish people was farming and agriculture, that is cultivating the soil to produce crops, and raise livestock. Thus The LORD GOD brought the people into the Land of Canaan which GOD renamed Israel. And the land is a good land for farming and agriculture so the people could prosper in their trade, eat well and lack nothing. All The Festivals of The LORD which are found in Leviticus 23, the 7th day Sabbath on Saturday, The Passover, Pentecost, Trumpets, which is called Rosh Ha Shannah in Judaism, The New Year, The Day of Atonement, and Tabernacles, The 1st and 8th day, all have to do with agriculture. Most have to do with the harvest and grain and wheat. But especially the animal sacrifice for atonement of sins. Every Festival required a sacrifice or many sacrifices. The animals had to come from their flocks and herds. And GOD required the animal to be perfect, without blemish. Thus GOD spoke to His people often in agricultural terms, in a language they could relate to. And sometimes He spoke in parables, also in farming terms. So this morning, I would like to look at some of the teachings GOD and Messiah taught in agricultural language. Today, they still have great importance because the Word of GOD never changes, it endures forever. Here The Kingdom of Heaven is GOD, Who lives in Heaven and rules everywhere. GOD is like a treasure, a treasure of great wealth hid in a field. When a person finds this treasure of great wealth, Who is GOD, with joy that person sells all that he or she has, and buys the field. Selling all that we have for GOD and Messiah is repenting. Turning to GOD, RIDDING OURSELVES OF ALL OUR SINS which is breaking Torah, violating The Law of Moses, and then living our lives for The LORD GOD our Messiah by following Him and obeying His Laws and Commandments. The treasure of great wealth, Who is GOD Almighty is hid, hid in a field. That is, GOD is hidden from this world. Why? Because so few know GOD. The evidence of knowing GOD is obeying His Law and Commandments. And so few obey Him. Thus GOD is hidden. (DANIEL 12.9) The words are sealed and closed up. The promise of these words is sealed and closed up. WICKED – the ungodly who do wrong. WICKEDLY – violate, depart from GOD and Torah, Law of Moses. None of the wicked shall understand. None of the ungodly will understand GOD and His Word, but the wise will understand. That applies to today. With joy, the person goes and sells all that he or she has and buys that field. That is getting rid of all our old baggage of sin and turning to GOD and doing as He says. Obey Him. That is repentance. Thus, GOD is like a treasure of great wealth Who is hidden from the world. And when we find Him, we rid ourselves of all our sins by repenting, turning to GOD and obeying His Voice. – again, the Kingdom of Heaven is GOD. – and GOD is like a merchantman, a businessman looking for good pearls, people who will love Him and obey Him. VERSE 46 – and when He, The GOD of all Creation, found 1 pearl, even 1 person who loves Him and submits to Him, GOD went and sold all the He had, and bought it. GOD made Himself a Man, Yeshua The Messiah, came off His throne in Heaven, came to this earth and gave His Life for many, but would have done it for 1 person. He sold all that He had and bought that goodly pearl, you. That’s how much GOD loves you. That’s how much He loves you and me. VERSE 47 – again, The Kingdom of Heaven is GOD. He is like a net, a fishing net cast into the sea catching all kinds of fish, all kinds of people. VERSE 49 – so shall it be at the end of the world. His angels will come and separate the wicked, the ungodly from the just. The just are the righteous, who are Law-abiding, who obey GOD. VERSE 50 – and will cast the ungodly into a furnace of fire. They will wail and grind their teeth. VERSE 30 – who or what shall be like The Kingdom of GOD? Here, The Kingdom of GOD is all the Believers who will live with GOD in Heaven forever. VERSE 31 – it, The Believers in Messiah, those who have faith in Him and obey Torah, The Law of Moses, IS A SMALL NUMBER OF PEOPLE, like a grain of mustard seed that is less than all the seeds, or less than all people on the earth. VERSE 32. But when it, all the true Believers in Messiah, those who worship Him in spirit and in truth, having The Holy Spirit, and worship Him in Truth, that is obeying the Voice of GOD, His Law and Commandments, although being small in number, become a great number of people over the ages who will live with GOD our Messiah in The Millennium in Israel, and in Heaven, The Kingdom of GOD. (MATTHEW 7.13) STRAIT – STENOS – narrow from obstacles standing close about. That is those who try to scare us off by telling us, The Law is dead, or Yeshua is not GOD and Messiah. The strait gate is an ENTRANCE to Salvation and Heaven. The broad gate, the spacious and sizeable gate leads to destruction, meaning spiritual loss and eternal ruin. (MATTHEW 7.14) strait and narrow is the gate, people telling us, you don’t have to obey The Law, or Yeshua is not The Messiah, and narrow because of testings and tribulations that come with faith. But the strait gate and narrow way lead to Life, a Life with The LORD GOD, and eternal Life in Heaven. FEW FIND IT – few is puny, little, small in number. REVELATION 21.1-7 – speaking of Life. VERSE 7 – He/she that overcomes – overcomes sin by faith in Messiah and repentance. Turning to GOD, cease from sin, that is breaking Torah, and follow GOD and Messiah by obeying His Laws and Commandments. VERSE 15 – false prophets are religious impostors who seduce us with their teachings that are not true. In SHEEP’S clothing – they appear to be Believers in Messiah, but are not. RAVENING WOLVES – they will devour you with their false doctine. Beware of them, Yeshua says. VERSE 17 Good fruit in The Believer is faith in Messiah and obedience to Torah, The Law of Moses. VERSE 21 – The will of GOD is His Decree, His Law of Moses. VERSE 23 – iniquity is Lawlessness, disobeying The Law, GOD’s Law of Moses. PSALM 23.1 our Shepherd is The LORD GOD Who feeds us, and cares for us, and protects us, and we lack nothing. VERSE 28 – how much more will He cloth you, or care for you. VERSE 31 – seek The Kingdom of GOD, that is seek after GOD and find Him, learn of Him and then obey Him, His Torah, His Commandmnts, and all these things will be added again and again to you. LUKE 12.32 The Kingdom is GOD and Messiah, The Millennium in Israel, and Heaven in The New Jerusalem, where you will reign with GOD as kings and priests, and you will be heirs of GOD, and joint-heirs with Messiah of all that GOD owns. And He owns it all. So in conclusion, the entire teaching of The Bible can be summarized in a few words whether GOD’s teaching is in agricultural terms, or parables, or in plain and simple language. And those words are found in Matthew 13.43, the righteous will shine forth as the sun in The Kingdom of THEIR Father. RIGHTEOUS means Law-abiding. Believing in Yeshua The Messiah, according to The Law, according to the Prophets, according to The Writings and according to The New Testament. And observing and keeping The Law and the Prophets and The Writings, and The New Testament. Who has ears to hear, let them hear and obey GOD.